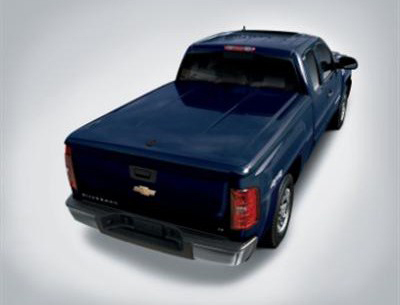 Secure your cargo under this lockable, lightweight, molded-composite Hard Shell Tonneau Cover. Designed to complement Silverado styling, the Cover features struts for easy opening and closing, and a quick-release mechanism for easy removal. Light-duty models will require the Heavy-duty tailgate protector.